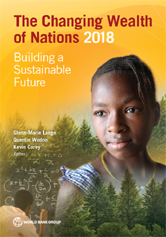 The Changing Wealth of Nations 2018: Building a Sustainable Future covers national wealth for 141 countries over 20 years (1995-2014) as the sum of produced capital, 19 types of natural capital, net foreign assets, and human capital overall as well as by gender and type of employment. Why Should We Measure Wealth? What Is New in This Version of The Changing Wealth of Nations? Convergence in Human Capital Wealth?